DISCIPLINE – CONSISTENCY – SUCCESS….THE NEXT LEVEL OF YOUR RECOVERY. Pathways have developed a very special addiction aftercare program called Full Circle. It is aftercare that helps you develop healthy living habits. It develops fitness, emotional and social well being in a mature and homely environment. That’s the catch! We do not institutionalize or label people, which can be dangerous, instead we teach them how to live maturely, and with their and other peoples futures and well beings in mind. Welcome to The Pathways addiction aftercare program treatment centre’s FULL CIRCLE addiction aftercare program. Learn the art of balanced living, of doing a 180 degree turn around into socially balanced, healthy living and being your purpose! Pathways provide a professional, addiction aftercare program for a wide range of addictive behaviours. Develop a passion for life and adventure, for doing, for creating and just for being. Life is good after recovery and we become better than well! Did you know an aftercare programme post a primary treatment provides approximately 68% better chance of lasting, life changing recovery? 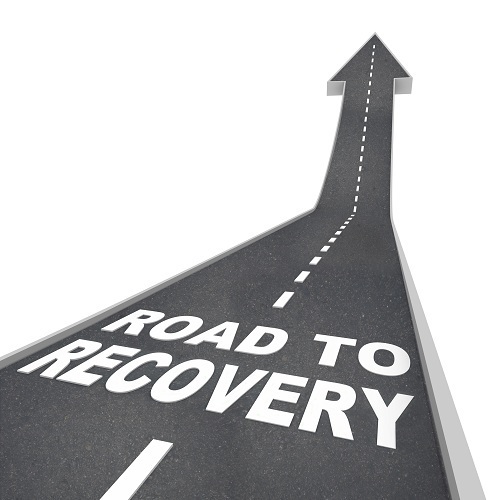 Take your recovery to the next level by getting to the core issues of your addictive behaviours and their consequences. Discover how to Connect, Be Active, Take Notice, Keep learning and Give. Pathways Plett provide world class rehabilitation from substance, alcohol, depression, anxiety, dual diagnosis and food addiction is an on-going process and that is why after care is so important to bridge the gap between abstinence and life long recovery. Pathways addiction aftercare program is this bridge, and has been for many people and their families from around the world. At Pathways we emphasize optimal living and get into the emotional aspects of the issues at their core, focus on the collective development of our clients, and a modern yet classical philosophy that brings out the very best capabilities in our clients. With us you can learn to live unforced recovery in ecstatic motion. In the FULL CIRCLE addiction aftercare program there is a strong emphasis on developing physical fitness and personal character first. The development of strong character traits – courage, perseverance, patience, tolerance, integrity, sense of humour etc. This is achieved through counselling coaching but also through facing and overcoming a variety of challenges, both individually and as part of a team. Throughout the range of activities we use every opportunity to develop leadership and teamwork abilities involving practical experience in true to life situations. While staying in the luxury of our home styled and intimate centre in Plettenberg Bay you don’t just do recovery work. You grow! Week 1 – Orientation week where you come in relax and settle in. We develop an individual treatment plan and move forward with your interests likes, and dislikes. Nothing is forced on you at Pathways, all activities are suggestion based. Week 2 of the addiction aftercare program brings, for example, gym routines, kayak and skippers competence, horse riding, swimming, technical skills, weapons handling and bush craft. During this time clients are exposed to practical life management, cooking and healthy nutrition. Mindfulness is a big part of what we do, the area reserves and the wild ocean, Knysna forest etc. just lends itself to this. Emotional and psychological work (some of the best in the country) is done by our registered and highly experienced addiction counsellors. Weeks 5 onward at Pathways bring bush camp experience, some camping, volunteer work, hiking and rock climbing, bush survival and awareness. The steps overview are completed in depth so you can work them and live them on a daily basis in life. There’s no point in only doing a few of the steps. If you don’t follow the steps, our daily routine and spiritual principles addiction programmes will assist with life changing action that you can take daily. Work is intense and hard however, it is well balanced with life achievements like gaining skippers licenses, many life capabilities. Even personal financial management, studies and entrepreneurship (we always work for ourselves) are considered. For more information on our addiction aftercare program please send us an email or call 0824424779. We are highly flexible and adaptable and help you where you are at.